Maine has a way of capturing the hearts and minds of creative types. The landscape, the serenity, the slower pace and the friendly people all conspire together to convince artists to do crazy things like quit their day jobs, throw caution to the wind and start a new life pursuing what they truly love to do. 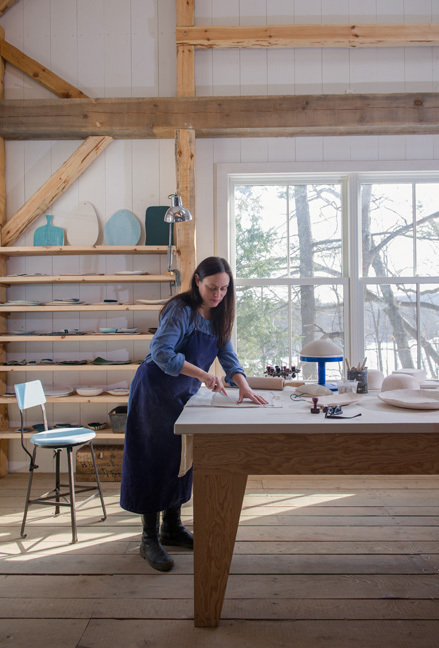 Now the state has caught one more talented creator in its clutches: Elephant Ceramics‘ Michele Michael. While having summered here for many years, Michele and her husband left Brooklyn behind last year and made the bold move to full-time residents of a small Midcoast town. I had met Michele in a prior life, when a college friend had come to visit her here one summer. 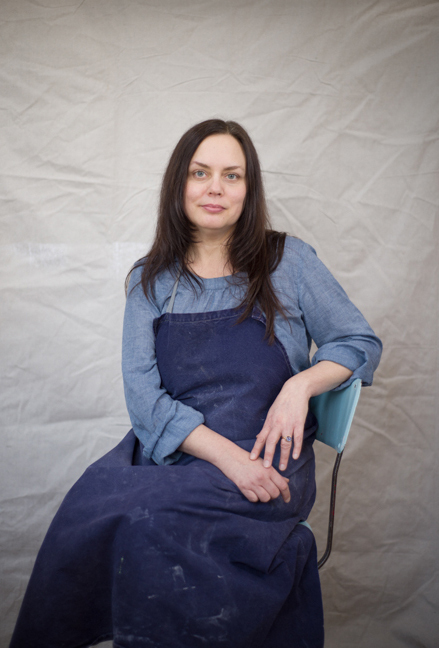 At the time she was a freelance prop stylist, but had not yet ventured into the world of ceramics. 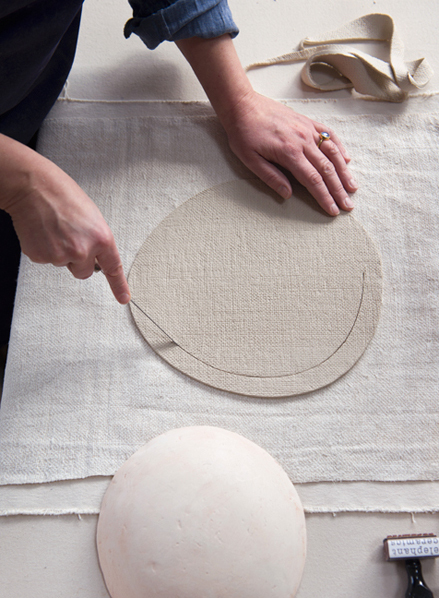 In fact, one reason she started making her own tableware was because she recognized a void in the sort of props she was looking for to do her job. In recent years, I’d noticed Michele’s pieces in high profile national magazines without knowing they were hers. The unique, imperfect shapes, captivating textures and rich, nature-inspired glazes caught my eye immediately. As I’m always on the lookout for unique pieces to shoot food on, and Michele only sells her work through occasional sales in her online store, I signed up on the Elephant Ceramics mailing list early this year. Next thing I know I had a message from Michele reminding me that we had actually met long ago. (She also said “I see your photography all the time.” While that might be a bit hyperbolic, it made me feel momentarily important!) In need of some updated photos for her web site, she inquired whether I’d be interested in taking some images of her at work and some finished pieces in her new studio space on their property overlooking the Eastern River. YES, please! 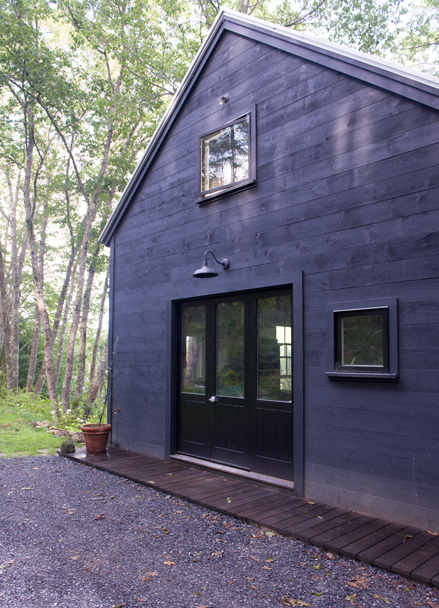 The barn where Michele and her equally talented husband, Patrick, who is a woodworker, have adjoining work spaces, is built from hand-hewn lumber thinned from the woods behind their home. The exposed timber frame adds an earthy, organic feel to the contemporary structure as light filters through the surrounding trees into the skylights and large windows. It is the sort of space you walk into and think “oh, yes, now this is a place in which to make beautiful things!” This feeling is confirmed with the presence of Michele’s gorgeous pieces, which mimic the space in which they are created: a winning combination of rustic, handmade forms with a modern flare. 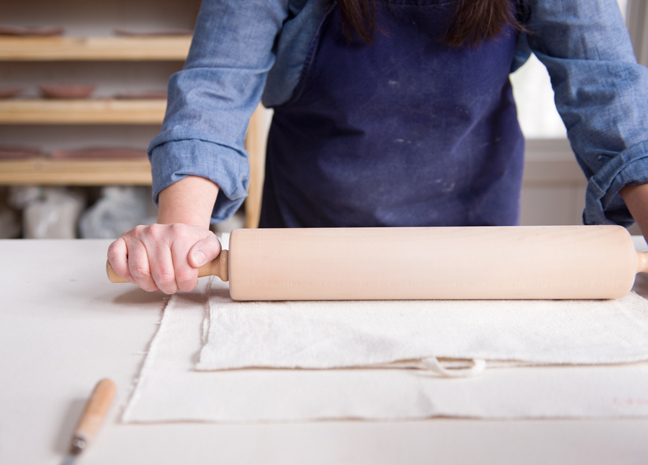 Be they farmers, chefs or artists, I love documenting people at work with their hands. 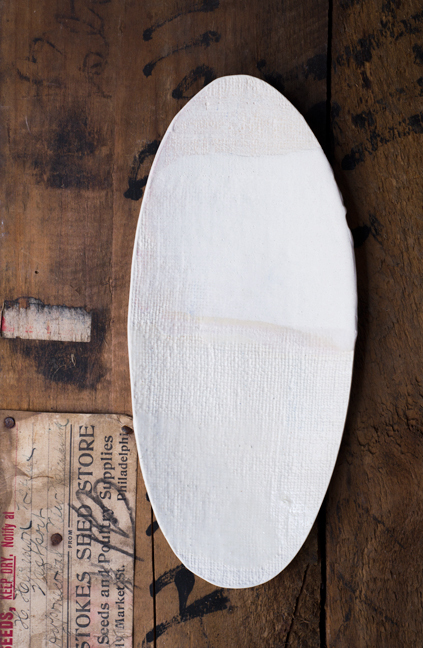 All of Michele’s work is hand shaped, that is created without a potter’s wheel. 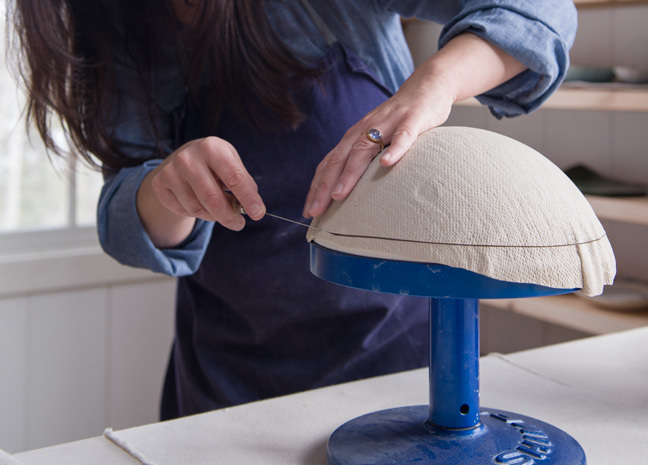 It was intriguing to watch the process: the removing of air pockets from the clay, the rolling out, the adding of texture by rolling linen into the clay, the cutting of the shape, the molding over the form. I remarked that it seemed somewhat similar to making a pie crust, and Michele noted that, interestingly, making pies is the only kind of baking she likes. 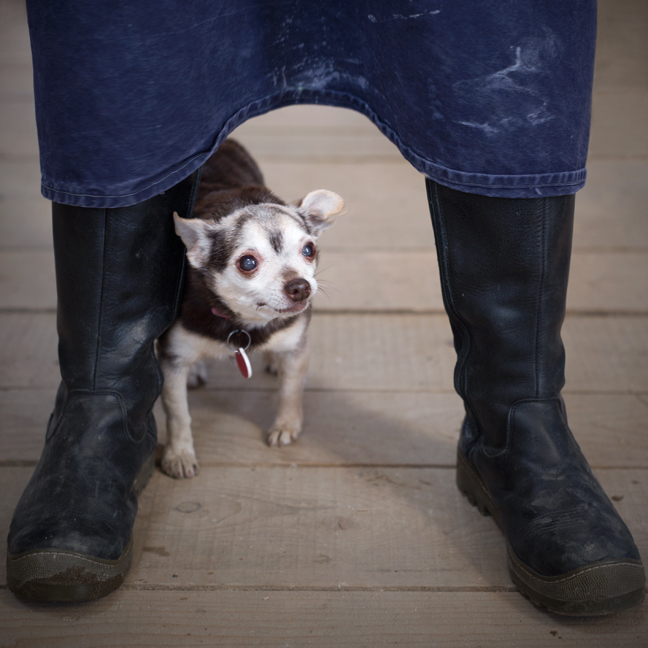 Following process shots and some portraits of both Michele and her loyal sidekick Chichi, the Best Chihuahua Ever, we moved on to product shots. The term “product shot” has been known to make me cringe as it often connotes “sterile” and “boring” (to me, anyway), but these were not they in the traditional sense of the word, as you can see from her site. First, because Michele is the former owner of a prop rental shop in New York, she naturally has amazing surfaces on which to place her pieces. Second, I needed to approximate the lighting of the other shots on her site, which just so happen to be done with the kind of dramatic, contrasty, heavy-on-the-shadow kind of light I most like. So we set about combining her pieces with appropriate backgrounds and covering up all but one light source in the room (a challenge to be sure!). Working with someone with a similar aesthetic to your own is always an added bonus, and this instance was no exception. We were both so pleased with the results. And one further bonus: I am now the proud (and boastful) owner of several Elephant Ceramics’ originals, much to the envy of dinner guests and creative directors. 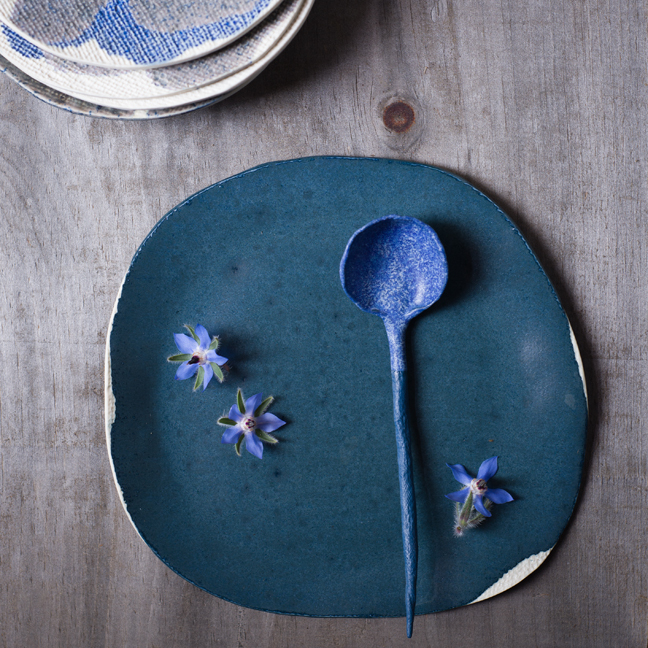 Her pieces are so beautiful that they transcend mere tableware though. I’ll admit it, sometimes I just like to stare at them sitting on the shelf in the endearing off-kilter way that only handcrafted goods can, and drink in their glorious hues. 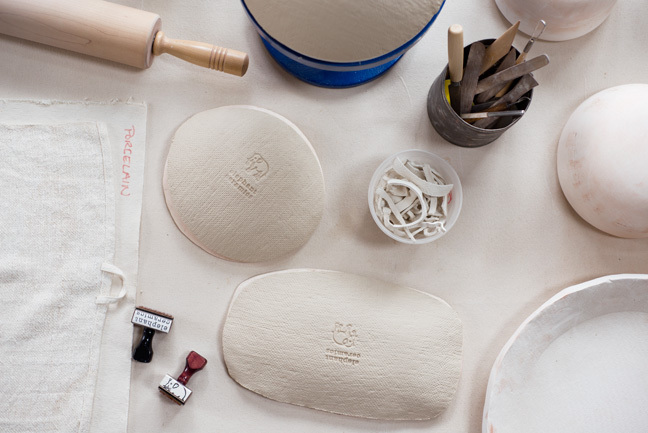 To become a lucky member of the Elephant Ceramics owners’ club, be sure to sign up for the mailing list so you will learn about upcoming online sales. Be forewarned, these one-of-a-kind pieces sell out in a matter of minutes! This entry was posted in artists, Elephant Ceramics and tagged artist, ceramics, Elephant Ceramics, Michele Michael, prop styling on August 5, 2013 by Stacey Cramp.